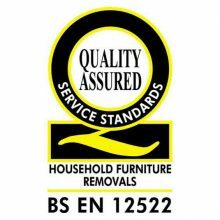 Kilmarnock Removals International received one of the removal industry’s top awards. The award celebrates exceptional standards domestic removals service and satisfaction based on customer feedback, which is why we are incredibly proud recipients. Don’t just take our word for it, listen to what our customers have to say. With a rating of 9.9/10 from over 800 customer reviews since 2009, we are exceptionally proud of our customer service. Absolutely first class service. Nothing is too much trouble. Highly delighted and will recommend. Kilmarnock Removals International are an award-winning domestic removals company. Whether you are moving your home a mile down the road or to the other side of the world, we have the skill, expertise and experience to make sure you get there with the minimum of fuss. Our removal experts can take care of everything from packing at your existing home to ensuring that every carton and piece of furniture arrives safely and is unpacked in its new home. With over 40 years’ of experience, we are experts in moving everything from toasters to pianos. So take the worry out of your move and let us do it for you.